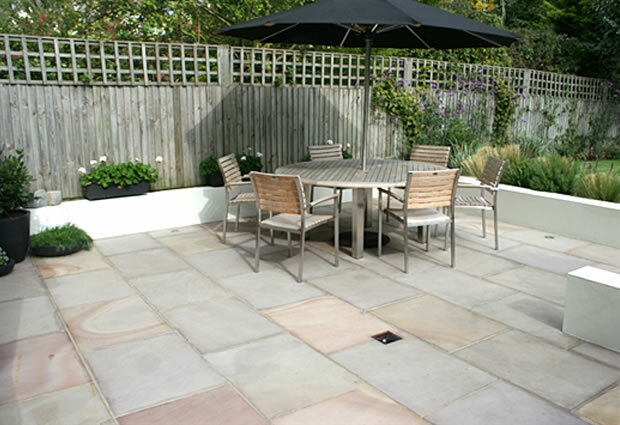 The generous Indian Sandstone patio terrace, with wrap around stone rendered retaining walls, make for the heart of this family garden social space. 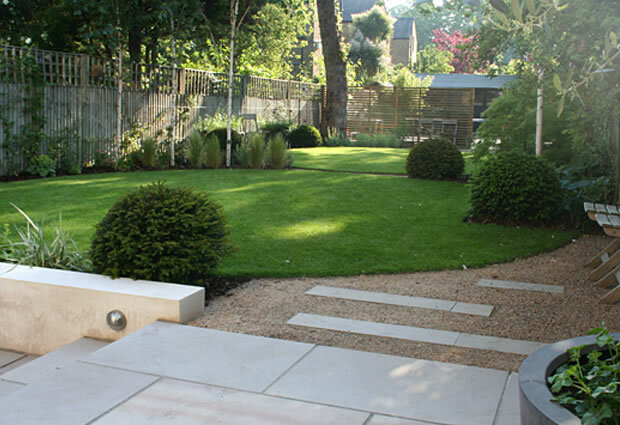 With this garden design West Dulwich , one if the most important phases of the design was the initial concept and design discussions with the client, finding out what their criteria is and most important priorities . 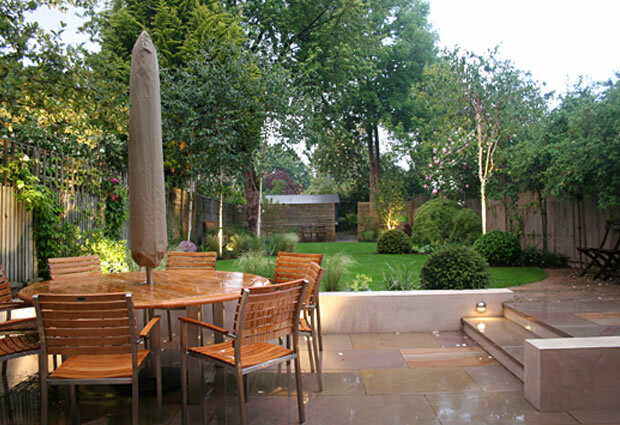 Most garden design and build projects do not have unlimited budget and therefore careful decisions and prioritising has to be thought through. 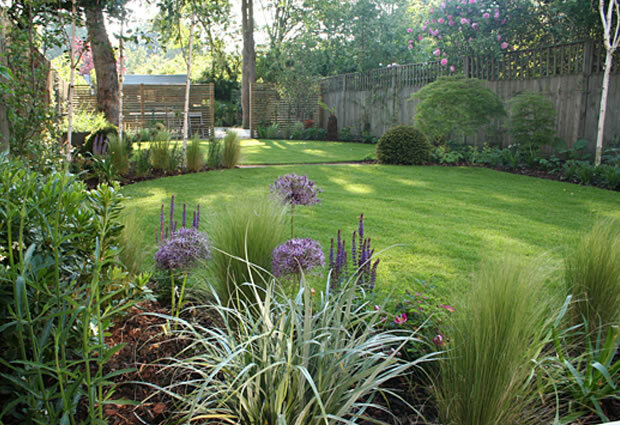 I feel that the most important part of any garden design starts before you even begin drawing and thats the brief and initial meetings. 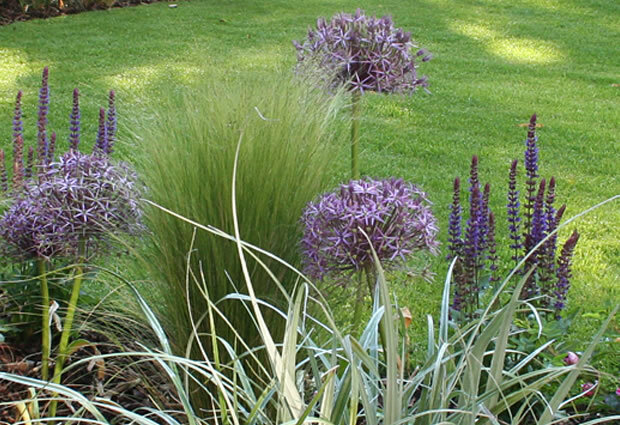 The discussion of creative ideas and working together both client and designer . 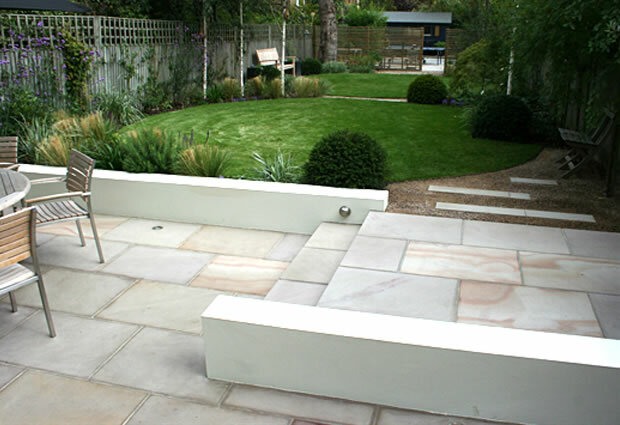 The garden is split into 3 areas; The sawn Indian sandstone patio and primary social space with retaining walls and clean lines helping to define the contemporary garden design themes, mixing rectilinear and curvilinear geometry. 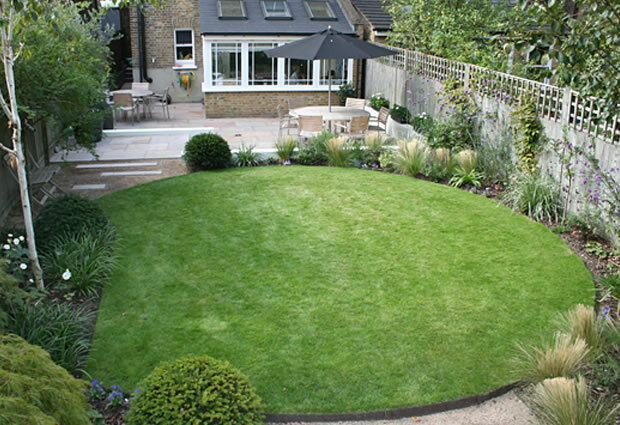 The large circular lawns create rhythm and interest, widening the garden and slightly compartmentalising, giving each area its own sense of space. 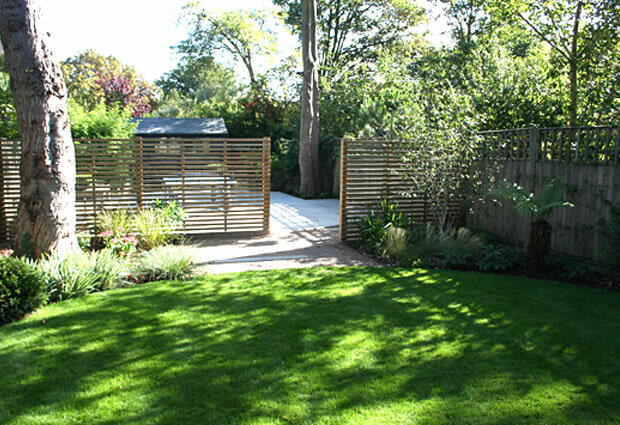 The third area is the play area at the rear of the garden, screened and compartmentalised using Iroko hardwood venetian style trellising.We reinforced the circular themes using large Box balls around the immediate space, perennials and architectural planting bringing structure and colour. 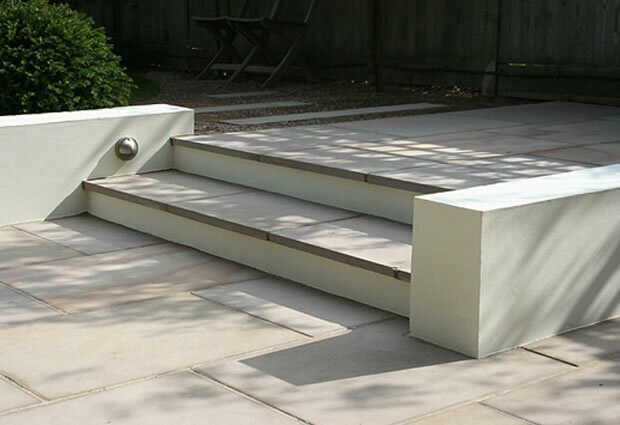 The abstract sandstone stepping stones punctuates reinforcing modern styles and taste. 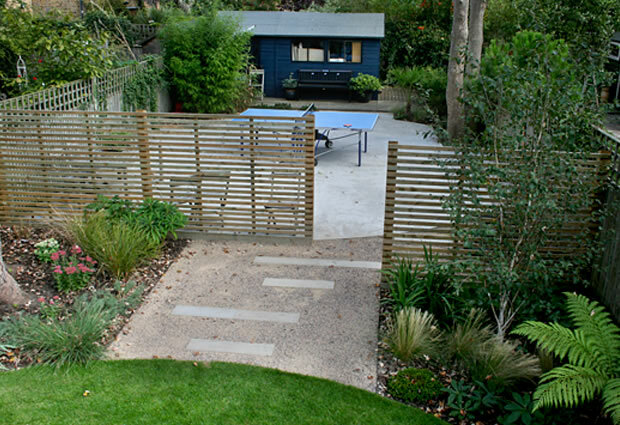 My clients children already in mid teens ; basket ball hoop and ping pong table one hands town with a chill out area set on a lightly polished concrete terrace. 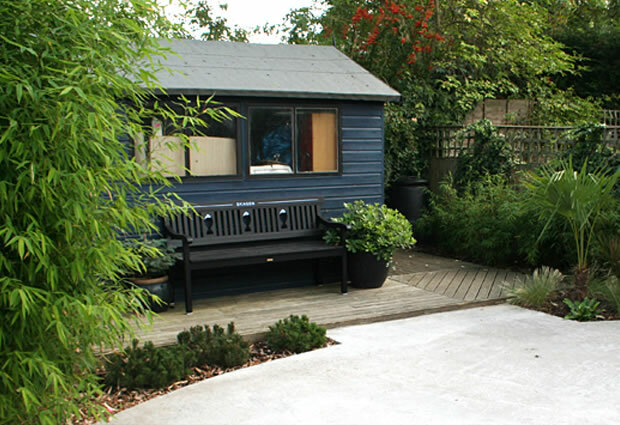 We pride ourselves on our professional & creative approach and we would like to assist with any queries or questions regarding your project, offering a free consolation and site visit . 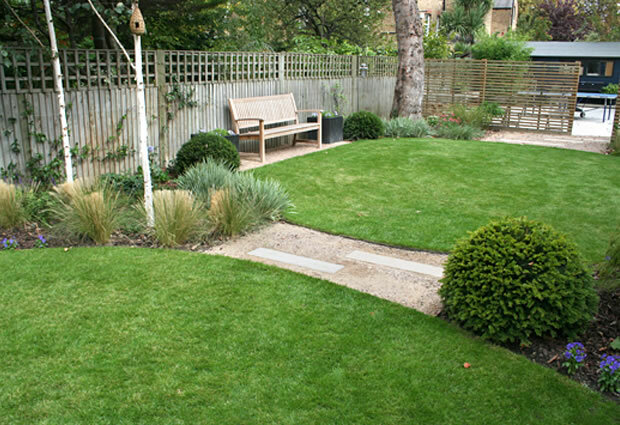 Feel free to contact us today for more information regarding our services. ask for Billy Clarke owner and head of creative.